Recently, I’ve been putting breakfast for dinner on the meal plan more frequently. Always a classic, always delicious, plus it gives me a chance to try to dozens of pancake, waffle, egg, and breakfast bread recipes stockpiled in my Chrome bookmarks. 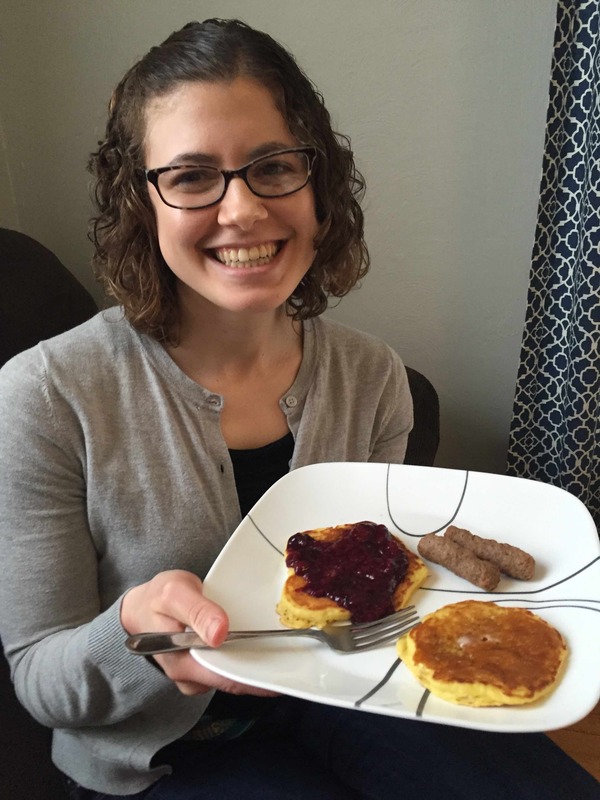 Last week we tried the Orange Pancakes with Berry-Orange Sauce from the blog Iowa Girl Eats. They were absolutely delicious! The pancakes were light and fluffy with a great orange flavor that wasn’t overpowering, and the sauce was tasty without being super sweet. I think our pancakes were extra fluffy because we used a combination of buttermilk & heavy whipping cream in place of the skim milk (they were leftover from another recipe earlier in theweek). 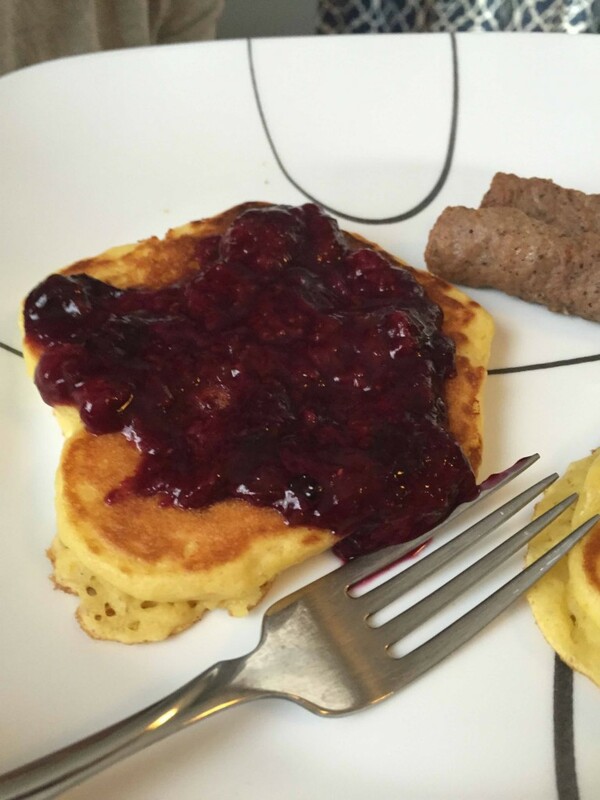 We paired our pancakes with Applegate Farms turkey breakfast sausages from the freezer section, which I also highly recommend. The pancakes were also very tasty with good ol’ butter & maple syrup, and we will definitely make them again. Next time I want to try using part whole wheat flour to healthify them a little bit…if James will let me. 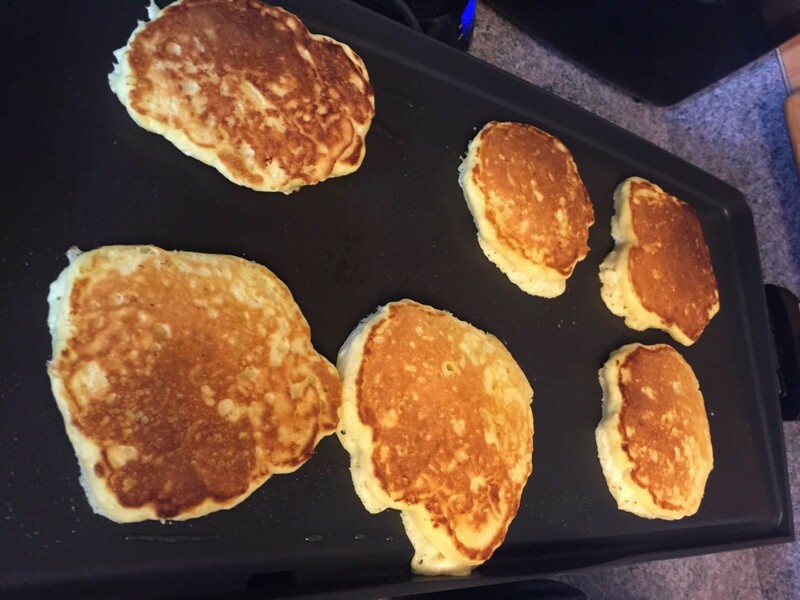 He commented that he hasn’t made regular pancakes with all-purpose flour in years…I always ask for whole wheat pancakes. Anyway, I definitely recommend that you give these pancakes a try!